Phomo is a phone motion simulator that allows to test location-based apps. 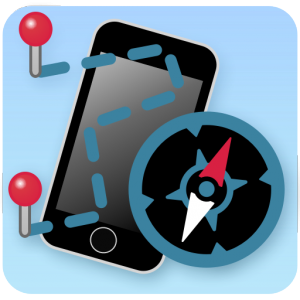 Location-based apps change behavior when the device changes location. So far, in order to verify if the app behaves properly, developers have two choices. First, they can walk around with their phones. This solution might be necessary in the late stages of development, but is very cumbersome and time consuming, which makes it inadequate for frequent use during early stages of development. Second, developers can use location simulation provided by their IDE (e.g., Xcode, Netbeans). Unfortunatly, this solution is generally very course grain. Location can be changed from on city to another, but there is generally no support for smaller movement and multiple devices, at least before the introduction of Phomo. Phomo addresses both these issues and povides a simple way to simulate real-life movement for one or several devices. Phomo will be available soon! P. Eugster, B. Garbinato, A. Holzer. “Pervaho: a specialized Middleware for Mobile Context-aware Applications”. In Electronic Commerce Research Journal, 9: 245–268, April 2009, Springer.